Camping can be some of the best experiences of one’s life when it is planned correctly. However, there is always the problem of communication and of power. 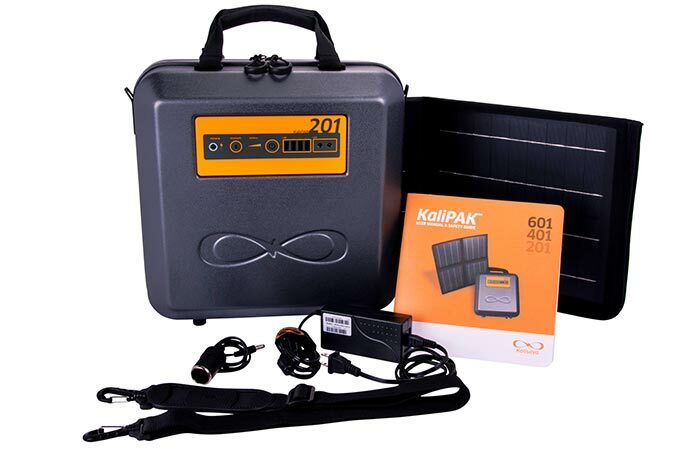 Even though there are a myriad of power generating devices available, we bet that you have never seen something as powerful as the Kalipak Portable Solar Generator. Sleek, compact and easy to carry, the Kalipak was designed to make your camping trip exceptional and is an extremely useful device for emergencies. Smooth, sleek, compact and powerful, the Kalisaya Kalipak 201 is a definite camping must-have. The Kalipak is a superbly lightweight generator that gets its energy directly from the Sun via its built-in 20 Watt solar panel and has a capacity of 192 Watt Hours. This means that you can charge it during the day and party at night since it features 4 ultrafast charging USB ports as well as 2 separate 12V DC ports for lighting. However, you don’t need to charge it just via the sun since it can be charged from an outlet as well before your trip. Check out the introduction video below. The Kalipak comes with a range of accessories and was built for durability as well. 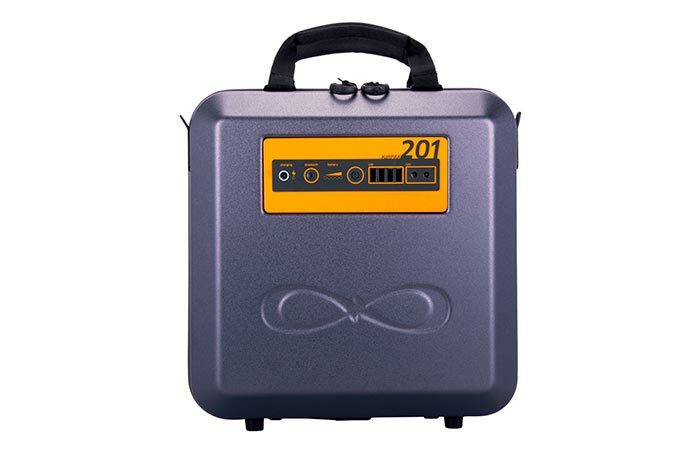 To ensure that you get the maximum out of it, the Kalipak is manufactured with high capacity, A-grade, long life lithium ion batteries and can even be monitored and controlled remotely via the iOS and Android smartphone app. Just to give you an idea of how powerful the Kalipak actually is, it has been rated to charge an iPhone from flat to full 32 times and a laptop 10 times on a single charge! To top it all off, the Kalipak even features compartments to store all of your electronic goods in. Definitely something that you need to take along on your next adventure into the wilderness!